This is a fun little comedy from Alice Guy that resembles a “chase film,” except that no one is chased here, just set into rapid, uncontrolled motion. Although limited in characterization, it shows a complexity of filmmaking technique, including camera set-ups and editing, equal to or better than most work at the time. 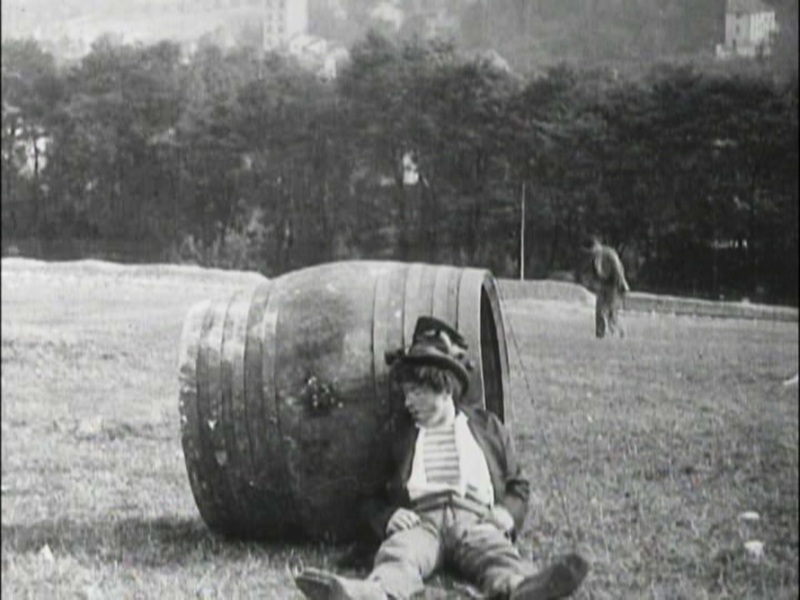 For most of this movie, of course, no one is really inside the barrel, but the audience accepts that there is. We do see some fake legs sticking out as it makes its final roll to the river, but there’s a jump cut allowing the hobo to get out. 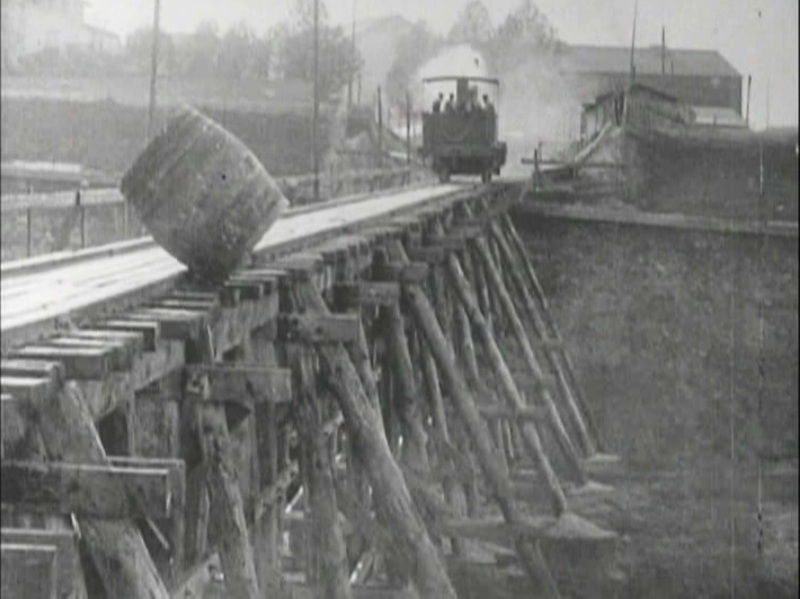 One other jump-cut occurs to the get the barrel into position on the railroad bridge. The editing here is somewhat good, though, because things move along at a fast pace, although as usual there are moments of waiting for the barrel to arrive at the beginning of each shot. I was impressed by the first shot in particular – the barrel rolls a good long way down that field, staying in-frame (and more or less in focus) the whole way! Overall, this is a pretty typical comedy for the time, but it’s fun to watch.